"Special thanks to Bonappuccino yesterdays cars and coffee Geelong, great coffee with great service, and supporting the royal children's hospital. Look forward to the next one. "The coffee I get at the Lara Station outlet is amazing. Always look forward to that. Finally found the perfect taste in coffee that I've been looking for.... and the friendly staff... Well done guys!" "Bonappuccino has been providing a coffee service at our event for the past 3 years. Our annual event is an Artist Retreat held at Geelong Grammar. Julian always provides a competent service catering for our unique needs and clientele. His product is always of the high standard and served with a smile. He is always ready to start serving at 8am, coming in early to ensure all items are in place and ready for the day trading. We communicated mainly through emails which are answered promptly. He is always open to any suggestions we have to make the service more effective for him and our clientele." "The team at Bonappuccino went above and beyond for our Wedding Recovery breakfast! Their delicious coffee and fabulous service was second to none, especially when they agreed to stick our custom wedding stickers on each of the 150 coffee cups they used. This was just an added extra that they did, without hesitation, which helped to make our big day perfect! All our guests needed to cure their sore heads on the Sunday was a hot coffee and a friendly face and that's exactly what they got. I highly recommend these guys, they will make your wedding even more special and memorable! Thanks so much Julz and Dorota, you guys are the best!!!" "It’s my absolute pleasure to recommend Bonappuccino. We have engaged Bonappuccino on numerous occasions when we have had functions at The Heights Estate in Herne Hill. They have consistently provided excellent service, always communicating effectively and keeping us constantly updated with confirmation of attendance, recommendation of procedure and scheduling of the events. Bonappuccino staff were always punctual and reliable, arriving on time and making sure all our clients were happy with their service and products. The service and products that they provided were always of an excellent standard. I would confidently recommend Bonappuccino, without hesitation." "Bonappuccino have been a reliable and easy to work with vendor at our events. Over the past few years, with this year being no exception we seek Bonappuccino’s service at the event; they have a good variety of food/drink offerings, never complain, they do well at the event and we even have staff and visitors asking if they will be back again. Bonappuccino are easy to work with because they ask questions so they know where and what time they need to do or be somewhere, we have very strict bump in/out policies and not once have had an issue with communication. On behalf of the Geelong Revival Motoring Festival we highly recommend Bonappuccino!" “Great coffee. Lovely lovely people. Surfcoasters leave 5 mins earlier and grab a coffee on your way into work/dropping of kids. Highly recommend!!!!" "Bonappacino have provided coffee and catering services on a number of occasions at the Warralily Markets. On all occasions Bonappacino provided a reliable, punctual, customer-focused service, and most importantly, delicious coffee! We are very pleased to recommend Bonappucino." 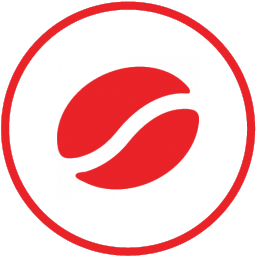 "We have been using Bonappuccino now for a few years at corporate events and we have always been very happy with their service. They are always punctual, organized and friendly to our customers. The coffee is of a high standard and we would highly recommend them for business or social events. Thanks, Mel."